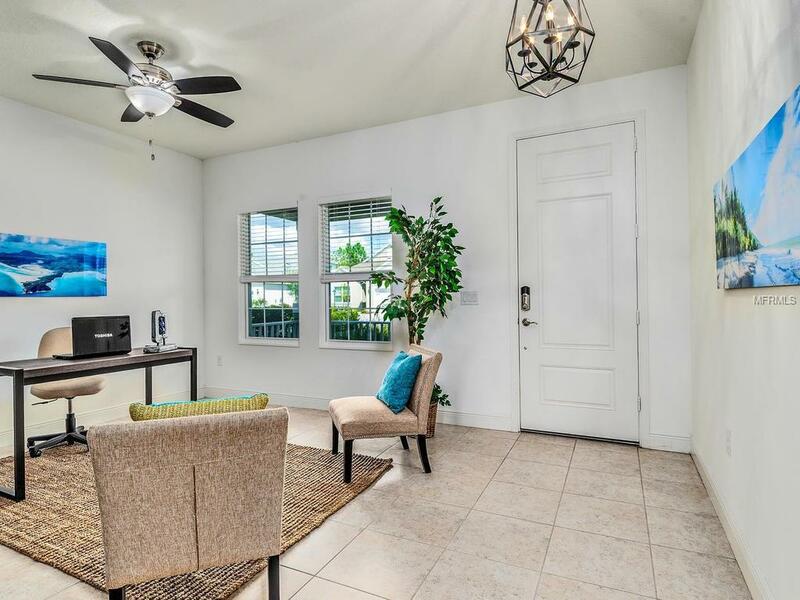 Charming and comfortable open floor plan, 3 Beds, 3 Baths, Den/Flex room, 2 Car Garage, beautiful lake view and sunsets from main living area and master bedroom. 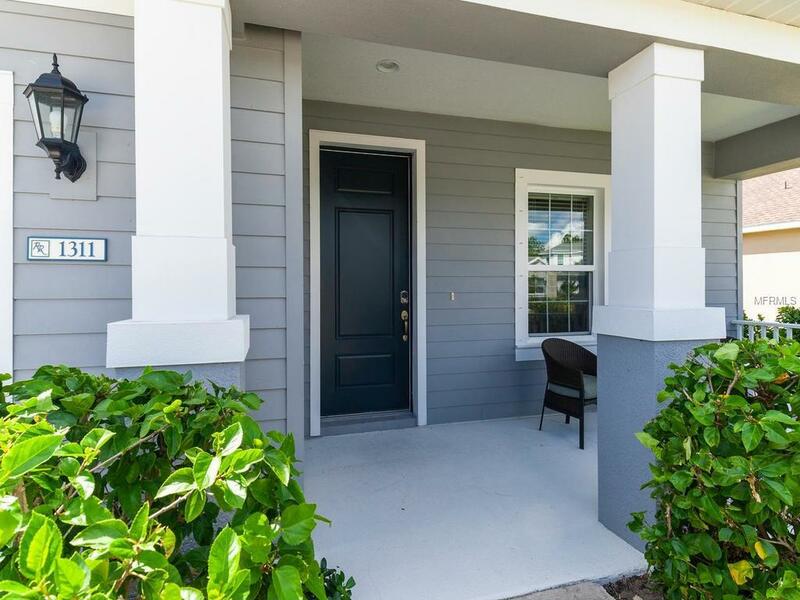 Entry of home opens into den/flex room, a gallery hallway with coffered ceiling leading to guest room with private full bath, 3rd bedroom, and 3rd full bath. Theres also a large dedicated laundry room with storage. Bright great room plan for relaxing or entertaining with wonderful sight lines, coffered ceiling, upgraded tile throughout, pocket sliders to lanai and backyard has room for a pool. No expense spared in the kitchen with large quartz island and counter tops, subway tile back splash with glass tile inlay, stainless appliances, GE induction cook top with convection oven, tons of cabinetry and a walk-in pantry. The master offers a seating area, coffered ceiling, two walk-in closets, quartz counters, double sinks, large walk-in shower and private water closet. 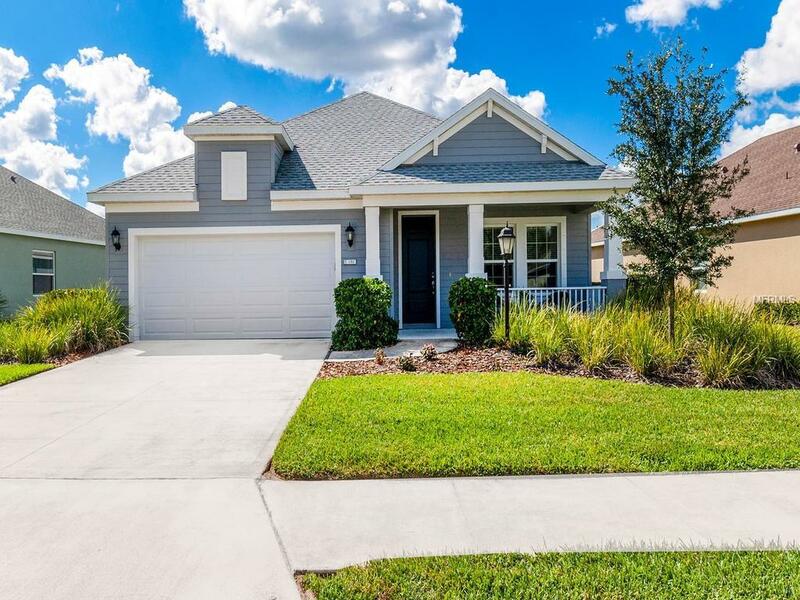 The community features resort style pool/spa, fitness room, green spaces, picnic area, fishing pier, kayak and canoe launch, sand volleyball court by the lake, trails and close to historic Rye Preserve. 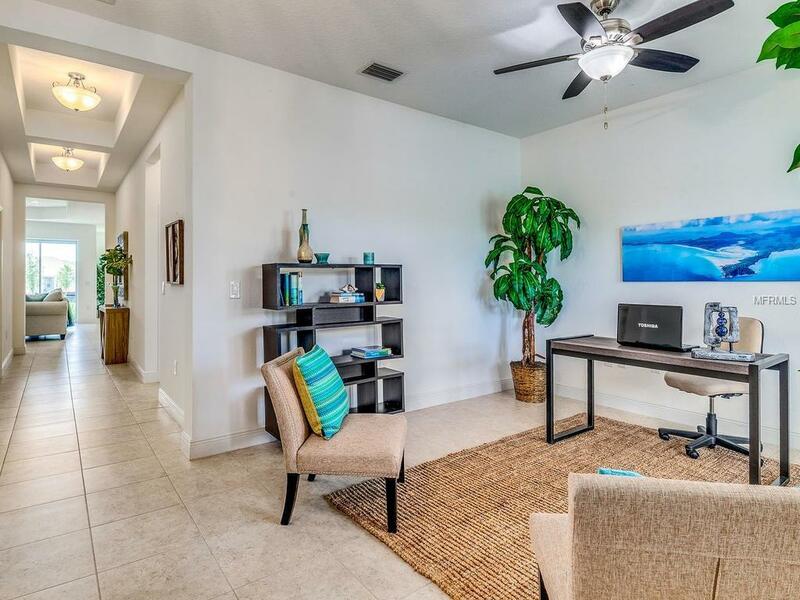 Rivers Reach is located on Rye Road near Lakewood Ranch & SR 64, convenient to dining, shopping, and easy access to I-75 for short commute to Sarasota, St. Pete and Tampa.